Blenheim Ginger Ale has an exciting new announcement to make this summer. We all know old saying “Variety is the Spice of Life” right? 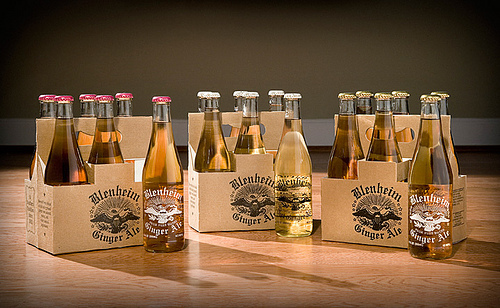 Now you can have a variety of the spicy, delicious flavors of Blenheim Ginger Ale with our new product the “Mixed Case”. Dad might like the fiery kick of our Old #3 recipe for his Dark and Stormy, but the kids can only handle the spicy but smooth #5 when they drink Good Ole Blenheim. In addition, Aunt Gertrude is watching her figure and wants a #9 Diet to drink after Zumba is over. Check out Blenheim Ginger Ale’s web-store for this amazing new offer to get a great deal, and to get an even greater home-style ginger ale with over 100 years of South Carolina tradition behind it, Good Ole Blenheim Ginger Ale. This entry was posted on Wednesday, August 1st, 2012 at 12:36 am	and is filed under News & Press. You can follow any responses to this entry through the RSS 2.0 feed. You can leave a response, or trackback from your own site.